Jose Mourinho says Zinedine Zidane is the right person to coach Real Madrid but suggested it is too early to judge the Frenchman's success as a manager. Zidane returned to Madrid earlier this month after Julen Lopetegui and Santiago Solari both failed to impress in short spells after his shock resignation last year. Mourinho, out of work since leaving Manchester United, had been strongly linked with a return to the Santiago Bernabeu, where he won the 2011-2012 LaLiga title. Zidane won the Champions League in all three of his seasons at Madrid but despite praising that success, which eclipses Mourinho's two career titles in the competition, the former Inter and Porto head coach is not fully convinced. 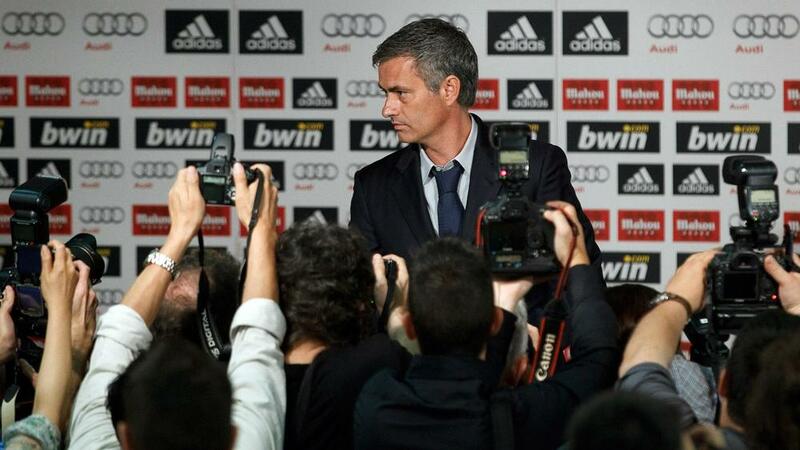 "I do not think we can talk about a career for him yet," Mourinho told Canal+ of Zidane returning to Madrid. "But in a very short time, he did what no one had done before, that is winning three consecutive Champions Leagues. "I think he’s probably the best person for this club." Mourinho has claimed to have turned down a number of job offers and previously confirmed he is targeting a June return to management. And the Portuguese gave a further insight into his plans for the future after being sacked by United last year. "Day after day, I miss training. I'm not going to hide it," Mourinho added.